The directives give essential requirements regarding to health, security, the environment and consumer protection for products which are traded within the European Economic Area (EEA). The directives form the starting point of the CE marking. The above named essential requirements apply to different products. For example, there are directives for machines and medical devices, but also for pressure vessels and toys. How do these directives come into being? First the European Commission, the Advisory Commission or the business marshal will form a proposed-directive. Then The European Council of Ministers determines whether the directive is adopted or not. If the directive is adopted, member states are obliged to receive the requirements linked to the directive in their national legislation. This should happen within a certain period of time, which usually takes two years. The period until the admission of the directive is generally called ‘transitional phase’. After that, the directive is binding and in principle there can’t be made any heavier or more additional requirements by the member states. Often this results in existing laws which need to be changed to avoid contradictions or duplicates. 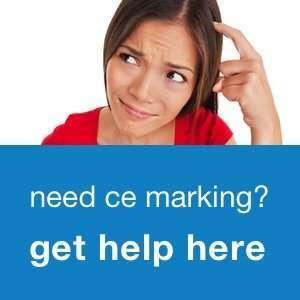 Who Applies the CE Mark? The responsibility for the compliance of the directives is situated by the person who brings the products within the limits of the EEA on the market. the importer of products from outside the EEA: s/he is entirely responsible for the placing of the CE marking, even though that s/he is not authorized by the manufacturer. On the base of the Product Liability Law you can be held responsible for your product. When the product is purchased from a manufacturer within the EEA, in the most cases the Liability Promise (and/or claim) can be shoved up to the manufacturer. But when the product is purchased outside of the EEA, then you are directly responsible as the ‘In the Community Established Plenipotentiary’. Verify that the CE marking is applied. The fundamental requirements are generally related to the technical safety aspects of the product itself. These are the ‘in practice’ requirements which you are most concerned with. You can find these requirements in Annex 1 of every New Approach Directive. Government Inspectors will first check if the products meet these fundamental requirements during inspections. The fundamental requirements also include requirements regarding documentation and marking (user manual, installation instructions, maintenance prescriptions, EC declaration, CE marking). These requirements form the starting point for European standards. For example, the directives require adequate instructions for use. The European harmonized standard EN 82079–1 gives minimal requirements for instructions for use. In most cases, the manufacturer or trader can certificate themselves. This ‘self-certification’ is usually also referred to as internal manufacturing inspection. If it regards products with an increased risk, an inspection agency (notified body) must be engaged. That the manufacturer puts together the Technical (Construction) Dossier and stores it. What directives the product or the component must comply. Whether it is necessary to engage an inspection agency for the certification procedure. Many products should include a manual to explain how to use the product safely. Mostly, the manual includes instructions for laypeople and service- maintenance instructions for specialized users. For consumer products, only a user manual is enough. All potential dangers that come with the use of the product should be described in the manual sufficiently. Also, the possible dangers caused by improper use should be taken into account. Only when the manufacturer pays attention to the requirements, (professional) knowledge and the experience of the user, warnings can be properly formulated. A manual should therefore always be written for that user. According to most directives, the manual must be translated into the language of the country where the product is being used. The person that imports the product in a specific language area is responsible for the correct translation. This also applies for a trading company that sells a product to another language area. For a manufacturer it is difficult to foresee to which countries his products are finally exported by trading companies or third parties. The Technical (Construction) File defines the product design and the conditions for safe usage. The file contains information such as drawings, certificates, test reports, calculations, the user manual, part lists etc. The Technical File is kept by the manufacturer, which keeps it available for competent national authorities. The physical presence of the dossier is not always necessary, but it must be available within a few weeks. In principle, the documents must be retained until 10 years after the manufacturing date of the product or after the last unit was produced (when the product is made in series). In some directives the Technical File forms a key feature in the conformity assessment. For each product or series of the same product that falls under a European New Approach Directive, an EC Declaration of Conformity should be prepared. This declaration indicates that the product complies with the requirements of the directive(s). When it comes to various directives, the compliance can be represented within one EC declaration. It is however necessary to mention the data of the notified body that performed the EC type-examination or the quality system evaluation. The declaration is signed by an authorized person of the company, who uses the same language as used in the user manual. The EC declaration of conformity must, in some cases, be sent together with the product. In the Technical (Construction) Dossier a copy is enclosed. In other cases it is sufficient to preserve the declaration yourself, depending on the directive that applies to the product. The CE marking is only applied when the product meets all relevant European New Approach Directives. This is usually done on the identification plate, on a label or with a sticker. Some directives allow that the CE marking is not applied on the product itself but on the packaging. 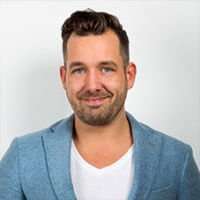 Ferry is founder and CEO of INSTRKTIV. INSTRKTIV develops, improves and maintains instructions for use for brands. See also INSTRKTIVTwitter , and LinkedIn.